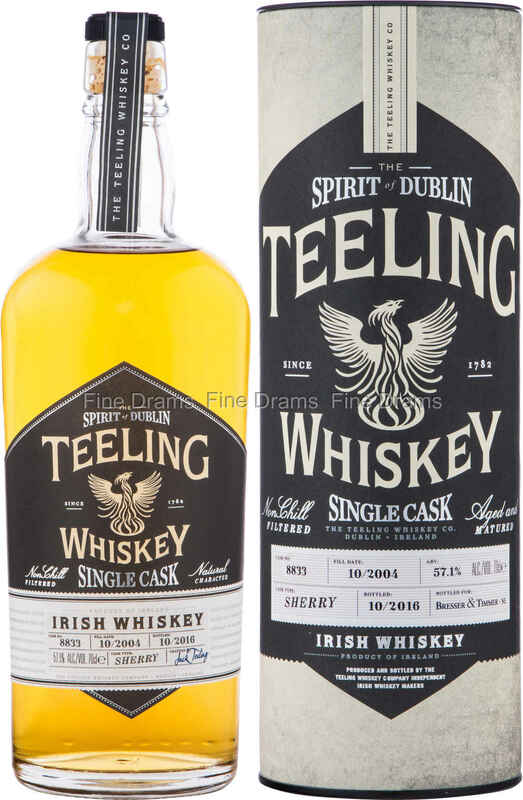 This is a 12 year old single cask bottling from Teeling. It was matured in sherry cask #8833 since October 2004 and bottled at cask strength in October 2016. In typical Teeling fashion, this bottling was not chillfiltered and has no added colouring.